This weekend I escaped with some girlfriends for a night out in Málaga. We waved goodbye to partners and children, nappies and nap times, and headed for the hills. 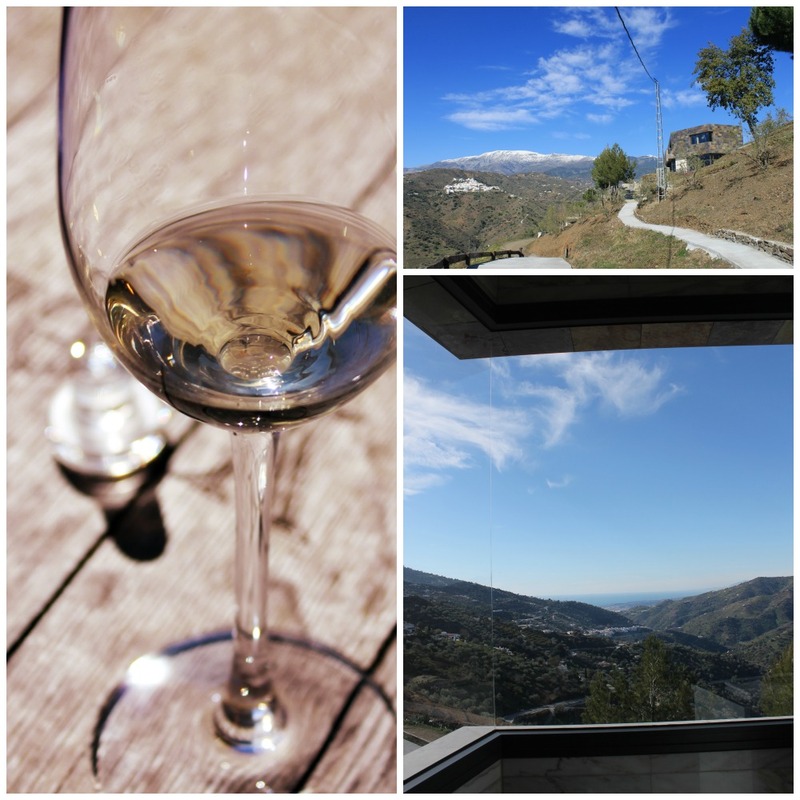 Our first stop, and the subject of this post, was a terribly civilised wine tasting and tour of Bodegas Bentomiz, producers of Ariyanas Wines, located near Sayalonga, in Malaga’s Axarquía region. As we savoured our wines and accompanying tapas, Clara Verheij, the owner, recounted the fascinating story of how she and her partner came to rebuild the ancient and abandoned vineyard on their land and become producers of six high quality wines enjoyed by wine lovers in over 12 countries across the world. Clara and André upped-sticks in Holland to begin an new life in Spain in 1995, he in the construction business and she with her own language school. However, over the years a new dream began to surface and, with the support and knowledge of their Spanish neighbours, their vines flourished and they produced their first wine. The quality of the wine was such that in 2003 Clara took a leap of faith and sold her language school in order to devote herself entirely to modernisation of the bodega in order to meet rising demand. 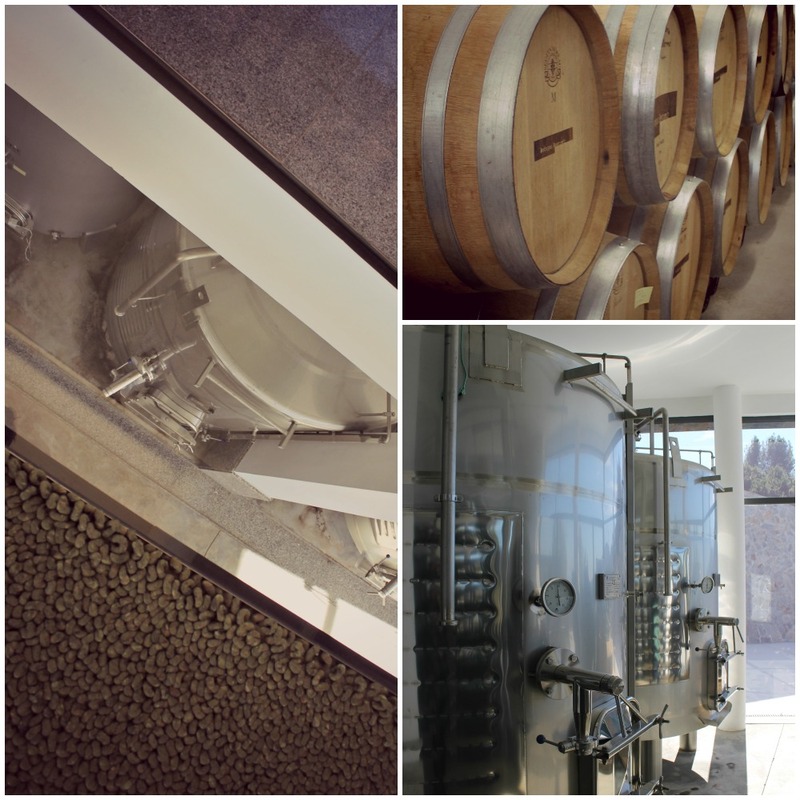 In 2007 André started to build the stunning new premises, clad in slate as an homage to the soil slate terroir which produces Axarquia’s rare indigenous Romé grape. The owners do not use pesticides or herbicides on the land and a delightful quirk in the story is that the vineyard itself is home to a hidden army of camouflaged insect-eaters, who help to keep the pests at bay. The presence of a rare species of chameleon, who nest under the vines, is probably a direct result of a decision not to use chemicals on the soil. Sadly, we didn’t see any of these shy creatures but Clara was pleased to report that they are thriving and that babies, the size of olives, have been spotted. As you may imagine they are a very welcome addition to the wine-making effort. Another interesting aspect of their process up at Bodegas Benotiz is that they were the first in Spain use glass stoppers in their bottles rather than cork to avoid ‘corking’ of the wine. The bodega, which is well sign-posted in the village of Sayalonga, is set amongst the hills of Axarquía, with views of snowy mountain peaks behind us and of the gleaming Mediterranean to the south. Clara, whose pride and joy in what they have built and in the wines that they produce is so obvious, can conduct the tour in English, Dutch, German and Spanish. After we were guided through the impressive production area, that boasts state of the art equipment, we relaxed on bar stools outside by the herb garden and enjoyed a blissful moment, glasses in hand, in the warm winter sunshine. 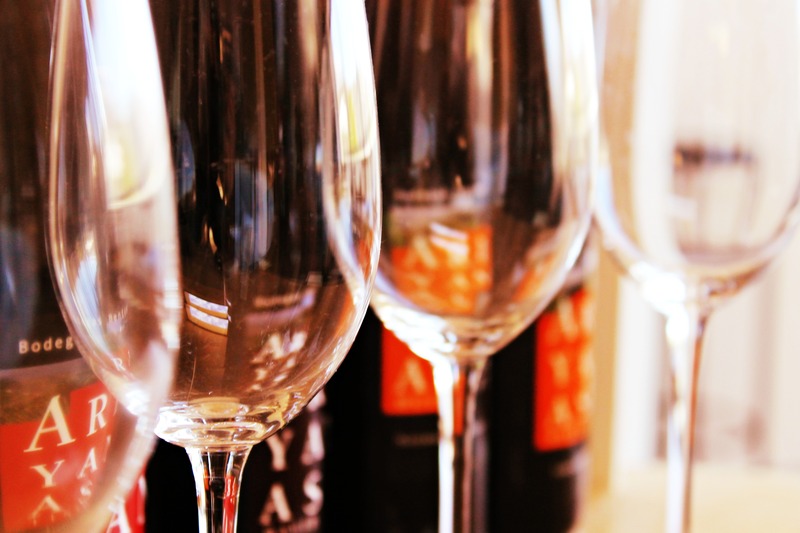 We tasted five of the award-winning Ariyanas wines starting with the dry aromatic Seco Sobre Lías Finas, an ideal aperitif, and finishing with the naturally sweet unfortified Terruño Pizarroso. Each glass was paired with a fresh homemade tapa specifically designed to complement the wine, including tortilla española with a spicy harissa sauce, blue cheese and membrillo, and delicious figs dipped in a chocolate and mandarin sauce. I’m no wine expert, but I am quite good at drinking the stuff and I can say that my favourite was the pale pink Romé Rosado which was served with local almonds, fried and salted. One of our group picked out a hint of apricot in this wine, much to the obvious delight of our hostess, and we left with a few bottles of this and the Sobre Lías Finas clinking in the boot of the car as we made our way back down the hill towards the motorway and the less subtle, though no less enjoyable, charms of a girls’ night out in Málaga. By taking the natural assets of the land and climate, and the knowledge that they gained from local farmers, and combining them with the very latest vinification techniques, Clara and André have created something remarkable and lasting, not just for themselves but for their community. They devised a tenacious marketing plan to hit the market from the top and work their way down which involved booking a table at some of Europe’s top restaurants and inviting the sommelier to taste their wine a the table with them. It paid off and you will now find their wine in Michelin starred restaurants in England, Spain, Holland, Belgium and Germany. You may even see Ariyanas on the shelves in Waitrose in the UK in the not too distant future. Meanwhile, they continue to develop their tours and plans are in progress for a new restaurant at the bodega where André himself will be the chef. This is a great, grown-up day trip and easily manageable from Granada, Málaga or the coast. I would definitely recommend it and I am looking forward to going back there for a long lunch one day when the restaurant is up and running. Take exit 277 for Algarrobo off the E15/A7 (Málaga-Motril) and drive through town turning right at the roundabout and over the bridge, going uphill. Drive through Sayalonga and after approximately 3 minutes you will see a track on your right signed Bodegas Bentomiz. It’s a sharp turn so you may prefer to go past and find a turning spot and approach it from the other direction. Once on the track follow it up for 300m until you get to the first building on the left and a driveway. Just beyond this paved driveway is a fenced parking area on your left. No swilling and spitting! We just had a little taster of each wine (5 in total) with tapas alongside. Thanks for visiting. I wonder if I could have seen your house from there 😉 The wine was excellent and I learnt quite a few things about the process as well. i would highly recommend the experience. Thanks. The whole place was very photogenic. It was fun and really terribly civilised. Hmm, now this looks like the perfect pick me up. It was a great way to kick off the weekend.